November is always an exciting month for me, mainly because it is my birthday, but also because I LOVE bonfire night…sparklers, fire, historical tales, fireworks, yummy food and excitement, what’s not to love? It truly is a fun date on the calendar and an opportunity for giddy family fun! Each year we do something different; Some years we have got together with friends or family and enjoyed traditional pie and peas or chilli and Jackets followed by walking up to a local display. 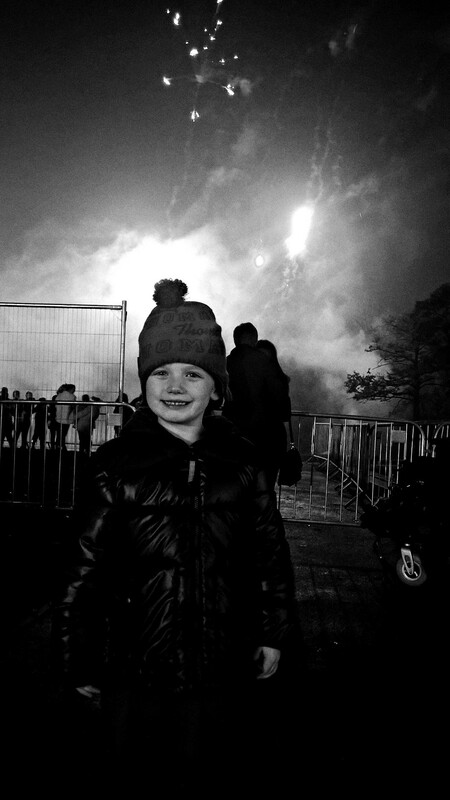 Other years we have had a similar menu but just enjoyed our own fireworks and sparklers at their house and then there are the kid free years when we have gone solely to an organised event and entered into the full festivities there, each and every way of marking the occasion have been joyful and memorable. 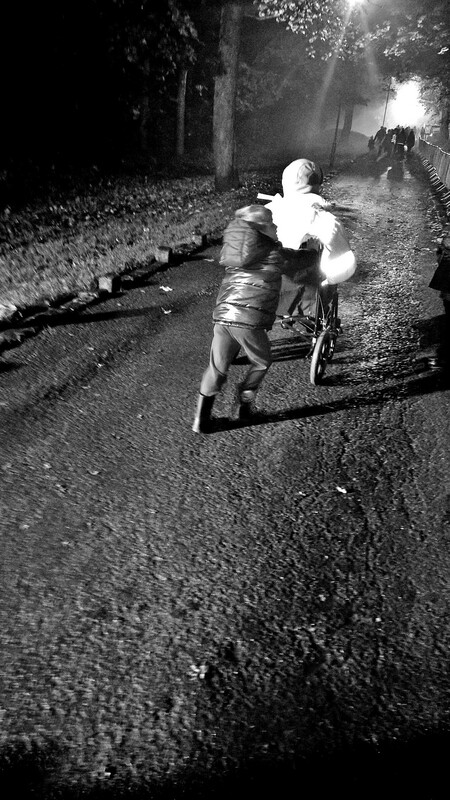 This year however, we planned to go with some people from church to a local bonfire and firework display and despite cold, misty, damp weather the evening was great. 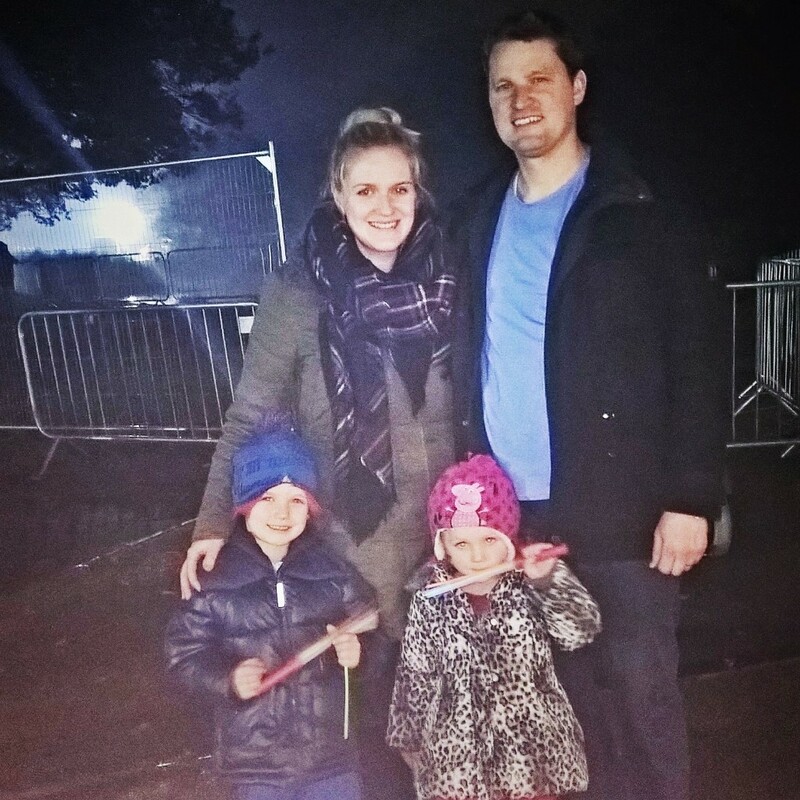 The kids LOVED the fireworks, they loved the atmosphere and the “massive bonfire” and there was so much nostalgia as we realised this is the first year they really had a feel for what Bonfire night was all about and we remembered all of the fun it held for us as kids. 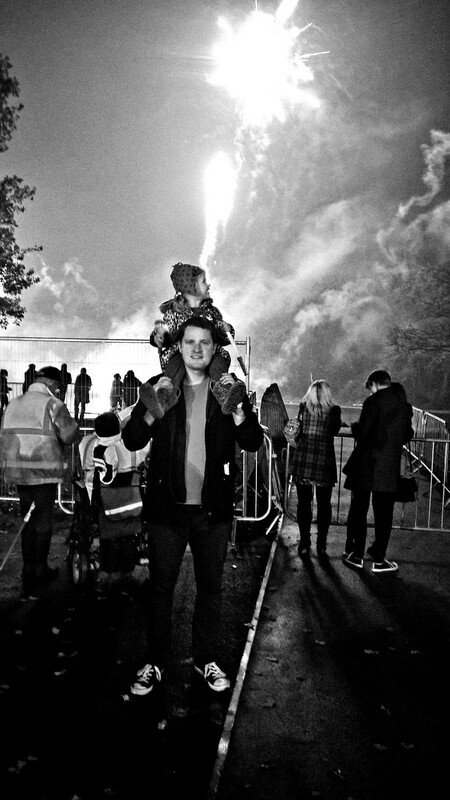 I planned in advance food and things I wanted to do for bonfire night, because I really wanted the kids to see it as a big deal when they grow up and enjoy the whole affair. I am also aware at these organised events the price can quickly clock up and there is nothing worse than crowds, mud and whining kids because you have to keep saying “NO” to their endless requests for treats, sparklers and glow sticks that are being sold at ridiculous prices because it is an organised event. So here is my way of enjoying the festivities of such an event, giving my kids all the highlights, but without breaking the bank! 1. Food – At times like this I think the menu makes it, as I said its tradition to eat pie & peas or Chilli or sausages…I decided it would be quick to do hot dogs, something we rarely have so felt special to the kids to chow a couple down. Of course I bought it from Aldi, so we had some lovely brockwurst for only £2 (with buns) for 5!! I don’t have to spell it out, but that’s as much as you’d pay for one at a van and we had a couple each for under a fiver, the kids loved it! 2. 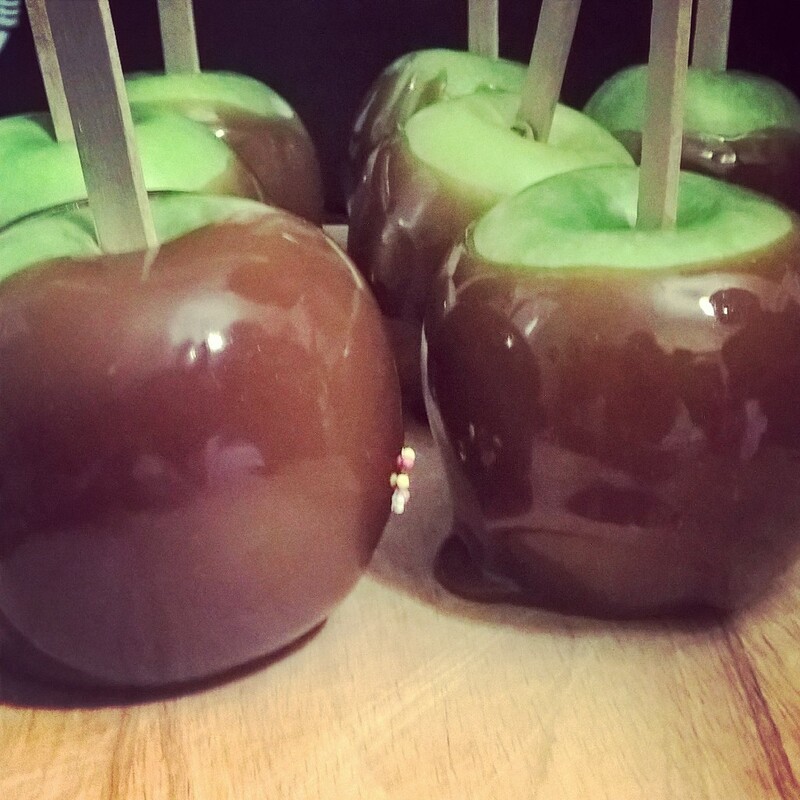 Toffee Apples – What is Bonfire night without a toffee apple? I couldn’t believe how super easy and fun these were to make the other night. I did it as the activity for youth night at church and it was brilliant and delicious. 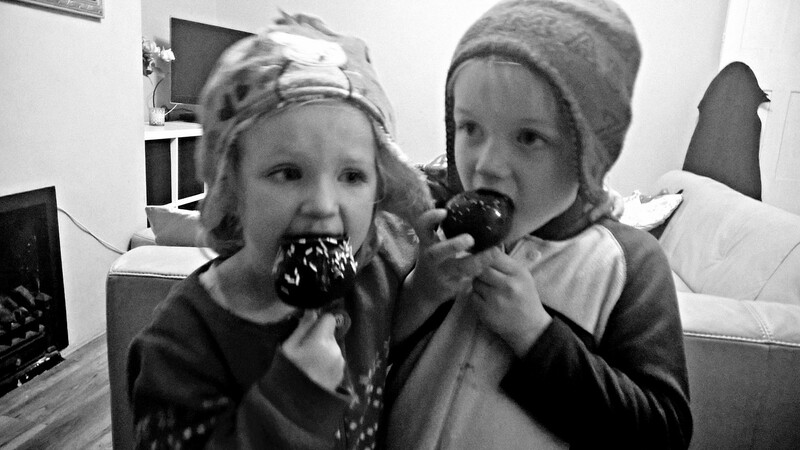 I made toffee apples for the adults and chocolate ones for the kids – It made their lives and worked out at about 50p each, not to mention all the fun in making them! 3. Added extras – I know my kids very well, and I know that if we rocked up to an event where there were all kinds of lighty things for sale at ridiculous prices then they would be nagging ALL NIGHT for it and fail to enjoy the reason we were there. So yesterday afternoon I nipped into B&M and picked up a pack of glow sticks for 99p for 2 wands, which they loved carrying around for the night. I saw LOADS of kids with the event ones, but the kids didn’t mention it once because they were content with their own little glowing wands! It was a wonderful night and barely cost us any more than we would have spent for dinner, so it made it all the more enjoyable. I hope you too had a great night, and whilst yes bonfire night is passed now, I hope that you can still remember these little tips for similar events you may have this weekend or in the future and cut down on the cost and nagging kids, but still have an amazing and memorable time!